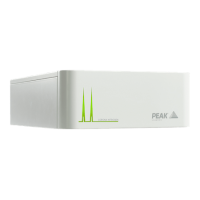 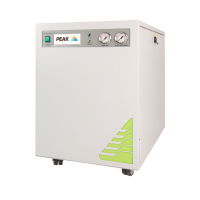 Gas Generators provide a constant supply of gas for lab applications without risking the safety for lab users. 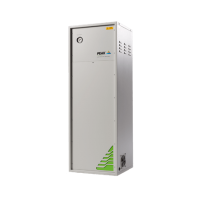 Purified Air generators also require a supply of dry, oil-free compressed air which is passed through a catalyst chamber, or filtration system to remove methane, CO2 moisture and carbon monoxide. 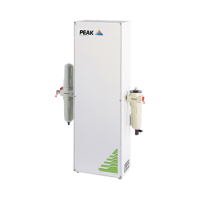 Gas is supplied to application from a buffer tank so that flow and pressure remain constant. 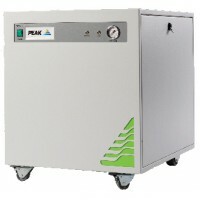 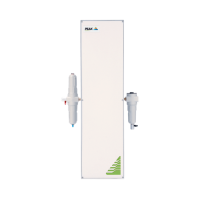 Calibration Gas Generators (15 L/min) for CO2 AnalysersIt produces clean, dry laboratory grade air, ..
Calibration Gas Generators (22 L/min) for CO2 AnalysersIt produces clean, dry laboratory grade air, ..
Compressed Air Dryers/Purifiers air at 70°C (1010 L/min)It produces clean, dry air, ensures optimum ..
Compressed Air Dryers/Purifiers air at 70°C (140 L/min)It produces clean, dry air, ensures optimum s..
Compressed Air Dryers/Purifiers air at 70°C (302 L/min)It produces clean, dry air, ensures optimum s..
Compressed Air Dryers/Purifiers air at 70°C (70 L/min)It produces clean, dry air, ensures optimum su..
Corona Nitrogen (5 L/min) suitable for LC, HPLC or UHPLCIt is suitable for applications requiring ul..
Fusion 1010 Dual Gas GeneratorIt deliver high purity zero nitrogen and zero air, for GC ca..
Nitrogen Generators for LCMSMS, 32 L/min (incl air supply)Compressor based solution, no need fo.. 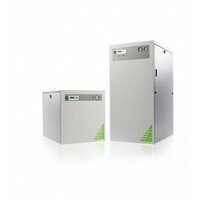 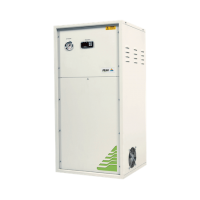 GENIUS SERIES (32 L/min)Compressor based solution, no need for an external air supplyHighly eco.. 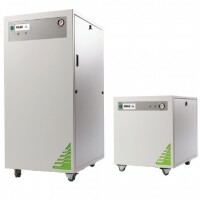 The Genius 1053 and Genius 3070 are built around to provide a total gas solution for the Shimadzu LC..
Nitrogen Generators (4 L/min) for GC Application The generator delivers ultra high purity nitro..
Nitrogen Generators(10 L/min) for GC ApplicationUltra High Purity Nitrogen Generator is designe..
Nitrogen Generators including air supply (2 L/min) for GC ApplicationsIt delivers ultra high purity ..
Nitrogen Generators including air supply (3 L/min) for GC ApplicationsIt delivers ultra high purity ..
Nitrogen Generators including air supply (4 L/min) for GC ApplicationsIt delivers ultra high purity ..